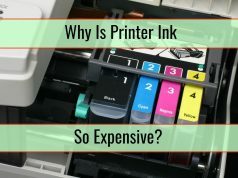 Inkjet printers are quite common these days because of the low price and maintenance costs but problems with the ink can often appear. You need to know how to solve them instead of simply taking the entire printer to the repair shop. The good news is that this is not at all difficult. What many do not understand is that the inkjet system is almost as complex as you see in laser printers. There is not much that can go wrong and most of the problems are connected to print quality and device communication difficulties. As a simple tip that you should remember before you actually start troubleshooting printer ink, keep in mind that if your printer is under warranty, you will want to have it checked out by an authorized repairman so that you do not end up without a warranty in the event that something more serious happens. 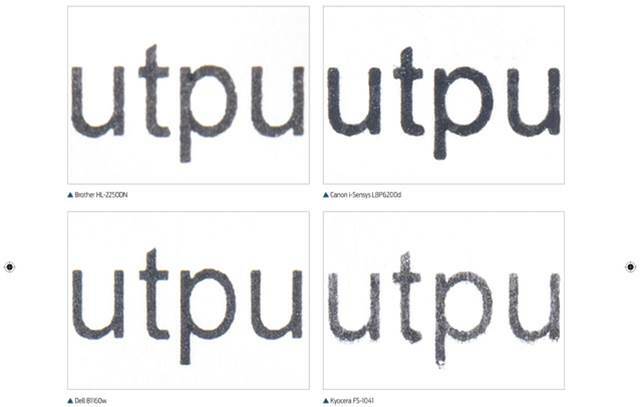 This is definitely the one problem that is really common when referring to inkjet. We can end up seeing some horizontal lines that appear on print lines. White lines appear because the nozzles in the ink cartridge are clogged so ink is not dispensed. This is solved by some manufacturers through a design that has the print head inside the ink cartridge. You can obviously solve the clogged nozzle problem by replacing the print head. However, you can also clean it with most of the models on the market. In order to clean your print head, you have to gain access to it. Do this according to the instructions of the manufacturer. Then, take a cotton swab and rub alcohol on the print head’s surface. This usually dissolves the ink that is built up. Do use a paper towel so that you can clean excess ink and after the print head is cleaned, run the software cleaning process that the printer has. If the problem is not solved by cleaning the print head nozzle, it is possible that printing instructions do not actually reach the ink dispersing mechanism. This is possible with some older models. 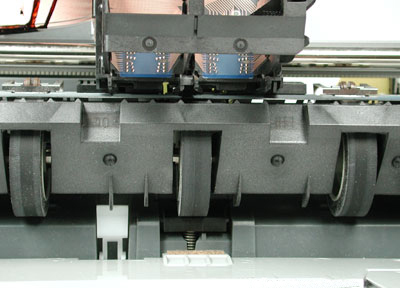 Check to see if the ink cartridge is properly positioned and that the print head ribbon is properly secured. White lines also appear because there is paper dust that causes problems with electrical connections. There are so many electrical contact points in one ink cartridge. As you heavily use your printer, the dust can reach the area between the housing of the cartridge and the actual cartridge. In order to remove it, simply use alcohol to clean those electrical contacts. Just make sure that you will always put the ink cartridge back only when the alcohol is completely dried. Just as communication problems can appear with the printing process and the computer, similar problems appear with the actual cartridge and ink. If the printer does not actually print much, what is printed is not what should be printed or no printing is done, make sure that the connection between the PC and the printer is proper. That will normally fix most of the problems that appear with communications.